When my first grandparent passed away, I was ten years old. It was the first major loss that I remember dealing with and honestly I don't think I knew how to deal with it. Thank goodness for my mamaw and papaw (I) ... they helped with my sister and me while my parents helped my other mamaw (mamaw B) through that tough time. Eight years later my dad's mom, Mamaw I, passed away. It was then that mamaw B stood with my sister and me for emotional support. About two years after that, Mamaw B passed away, and of course, our last remaining grandparent (Papaw I) was right there by our side. I really love my grandparents, and I miss them all dearly. 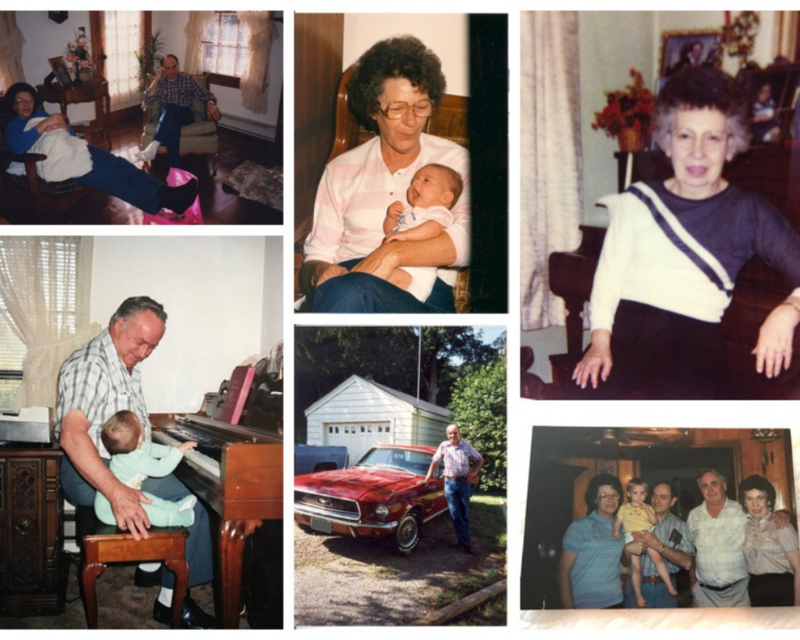 I learned lots from my grandparents... some things were small, some were big and meaningful... all of them have helped shaped me to who I am today. Honestly, there are so many lessons I learned from them... many to list, but I do want to share some of the more meaningful ones. I know I was a lucky one... I had wonderful grandparents who loved me and taught me a lot. I don't take that for granted, because I know that not everyone is that lucky. So, if I can share even just a little bit of what they taught me, their impact.... their legacy continues to live on and help others. You can be kind, but not a doormat. You're stronger than you realize. Don't show favoritism... keep things as even as possible to make sure feelings don't get hurt, and things stay fair. Don't do things just to benefit yourself, think of others and how it could affect them or your relationship with them. If you say it, follow through with it....if not your character is compromised. Faith gives you hope even through the toughest of times. Material things don't last, but memories & families.... those are lasting. There is power in the simple things. Find joy in the little moments. Don't walk out the door without a hug and an "I love you." You don't know if that will be the last time you see them. Laughter is just good for the soul. Try to find the humor when you can. No amount of money will bring you happiness if you can't be content with what you've already been blessed with. People may not remember what you said, but they will never forget how you made them feel. Act wisely. Stubbornness can be a good thing.... as long as you aren't stubborn in the wrong way. Spending your money to collect things is far less impactful than spending your time with those you love and making memories that will last forever. Thank you Lord for blessing me with such wonderful grandparents who helped teach me about the simple, real things in life.